The audiometric evaluation, often called an “audio”, requires active listening to both speech and pure tones in a sound treated room specially designed for hearing testing. Testing with pure tones across a range of frequencies from low to high pitch (250-8000 Hz) is done to determine the amount and type of hearing loss. Testing with words measures and estimates the loss of the fine-tuning ability of the ear for understanding speech. Other tests may be employed depending upon the nature of the auditory symptoms reported. 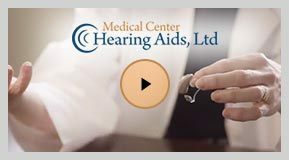 Audiometric evaluations are scheduled through the office of Medical Center Ear, Nose and Throat Associates of Houston, P.A.